Experimentation is not just a good thing but a vital part of prepping if we want to make sure we are getting it right. How often have we attempted canning and discovered we got something wrong? Then, after some bad results, we needed to go back and do it again — but this time tweak what we’ve been working with and, hopefully, be successful? Or, how often have we gotten a weapon or a knife and discovered, through training, it is not quite what we thought it would be. We need to change it up and try something else! It happens all of the time. This is why we appreciate the efforts of Coyote Works. 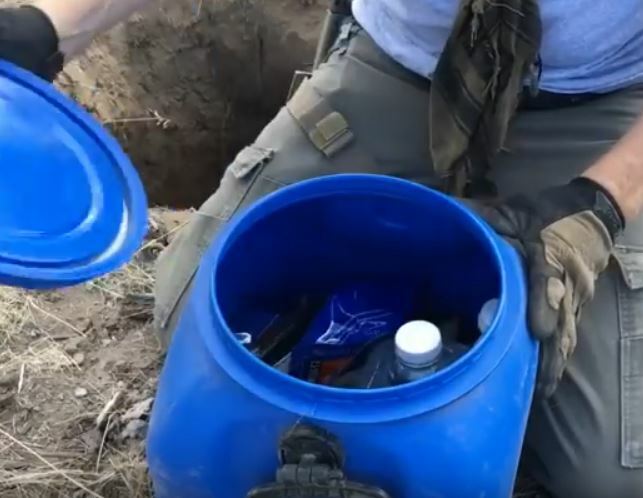 This prepper decided to pack some precious foodstuffs into a blue container, without any intricate planning, just to see what it would look like when he digs it up a year later. In this way, he could be certain all the preparation he was doing for his other hidden caches was worth it. 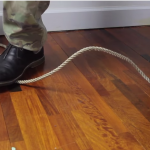 What he finds is surprising and you just might enjoy seeing what he’s stashed away and the outcome of this experiment. Go over and take a look! I do this a lot. I Always make sure to pack a Bible with mine. I think that kit was lacking an item or two but its his. For a supplemental food cache, this was a good experiment. I wonder if he put some medication in there how that would turn out. Vitamins, antibiotics, etc..